Russell Westbrook launched a 3-pointer from Steph Curry range, saw it drop through the net, and theatrically cupped his hand to his ear for the benefit of the Vivint Smart Home Arena crowd. 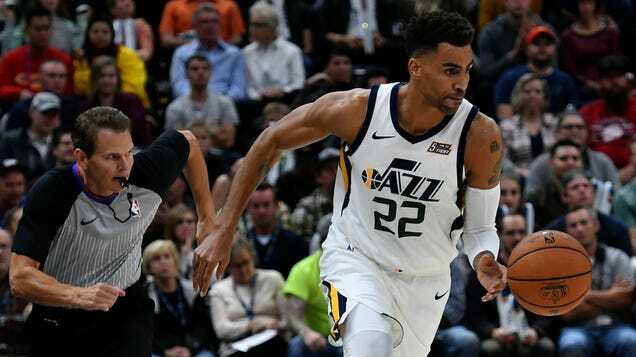 The Utah Jazz came back from a 17-point deficit in the fourth quarter to beat the NBA-best Milwaukee Bucks 115-111 on Saturday night at Vivint Arena. Summary: Despite all indicators showing it would be nearly impossible the Utah Jazz go into Denver on the back end of a back to back and beat the Nuggets. • This is an impressive win for the Utah Jazz. When the night started the Nuggets were the #1 team in the Western Conference. They had only lost 4 times all year at home and the teams on the road on a rest disadvantage were winning less than 30% of the time.